If you live in Ahwatukee and are in need of a great window washing company, then you should know that Arizona Window Washers has the best window washers and window cleaners in Ahwatukee and in the surrounding areas as well. Our company is thought to have the best and most professional window washing service in the city and we are proud to offer our customers high quality services at all times. No matter if you are a residential customer or if you are in need of some commercial window cleaning, you can definitely count on us to get the job done in the most professional manner possible. 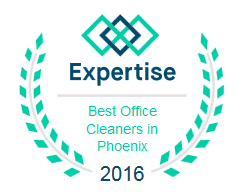 We pride ourselves not only with having the best window washers and window cleaners in Ahwatukee, but with also having the most dedicated customer service department. Arizona Window Washers is set to offer its customers the best experience possible, and that is exactly why we have invested in training some of the best customer service representatives. Our highly knowledgeable professionals will surely be able to answer all of your questions and give you all the information you need in order to make an informed decision. Our company offers the best residential and commercial window cleaning services and is, without a doubt at the top pick of customers not only in Ahwatukee, but in the surrounding areas as well. The main reason why our customers are so happy with our services is the fact that we use the best window cleaning solutions currently available on the market. When it comes to window washing, it is highly important that the effort put in our amazing window cleaners to not be in vain. By using the latest window cleaning and window washing solutions, we ensure that your house or your commercial building will have clean windows for a very long time, regardless of the weather. One other thing you should know about Arizona Window Washers is the fact that we have the most affordable prices around. We have made it our goal to have the lowest prices and we have managed to achieve that goal. Our customers do not only get the best window washing services, but the cheapest ones as well. In fact, we guarantee that you will not be able to find cheaper window cleaners in Ahwatukee or in the surrounding areas. All you have to do now is give us a call so that we can properly discuss your window cleaning needs and offer you all the details you need. You can also get a free quote using our fast window cleaning quote tool with great response time. Window washing has never been easier with the best window cleaners in Ahwatukee on your side!